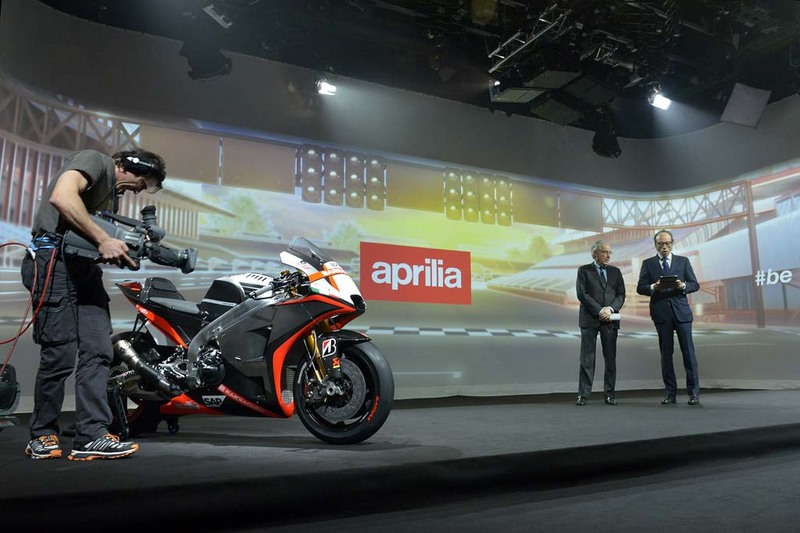 Aprilia officially revealed its new RS-GP racer ahead of its return to premier class Grand Prix racing. 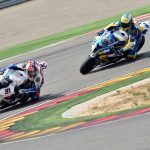 Veteran MotoGP racers Alvaro Bautista and Marco Melandri will pilot the RS-GP in what is expected to be a season focused on development. 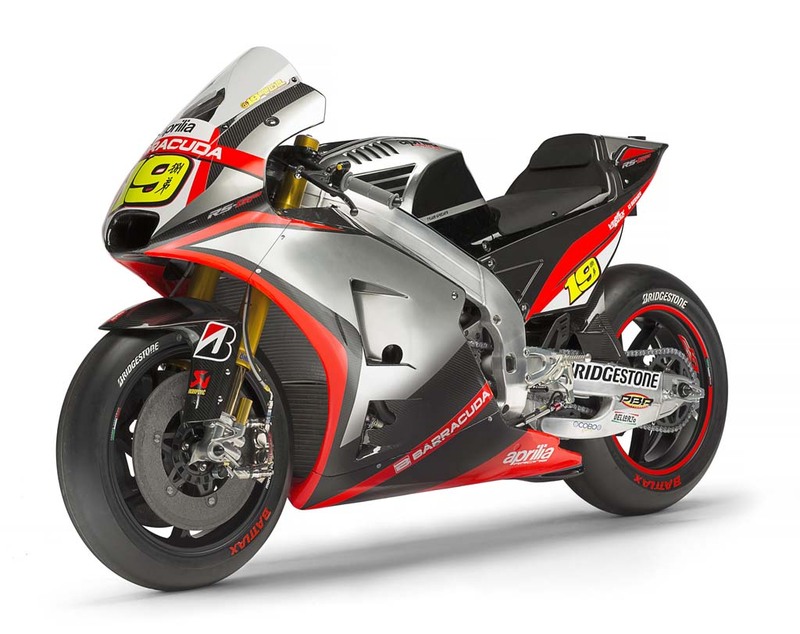 The Italian manufacturer boasts an impressive track record off 54 world titles, but none in the MotoGP/500cc Grand Prix class. 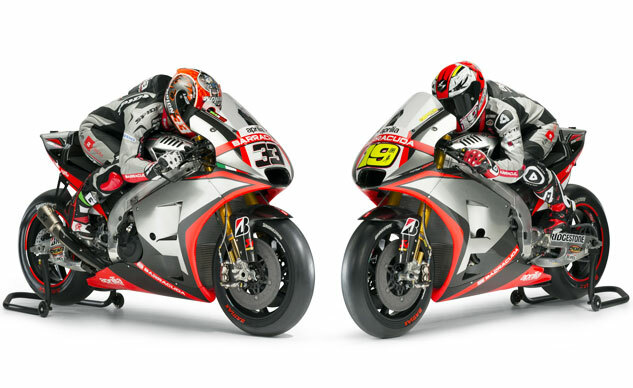 Aprilia withdrew from the MotoGP championship after the 2004 season, unofficially returning in 2012 by supplying racebikes based on the RSV4 under the series’ claiming rule team category. 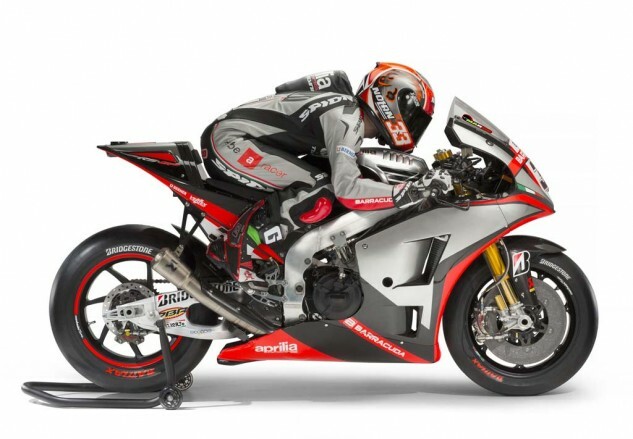 Aprilia initially planned for an official return with a new prototype for 2016 but later decided to start a year early, devoting this season to development before making a more serious effort next year. “We chose to move up our start date, getting into the mix in the 2015 MotoGP World Championship because we believe that this is the solution which is certainly the most risky but also the best one to become competitive as quickly as possible,” says Romano Albesiano, Aprilia racing manager. 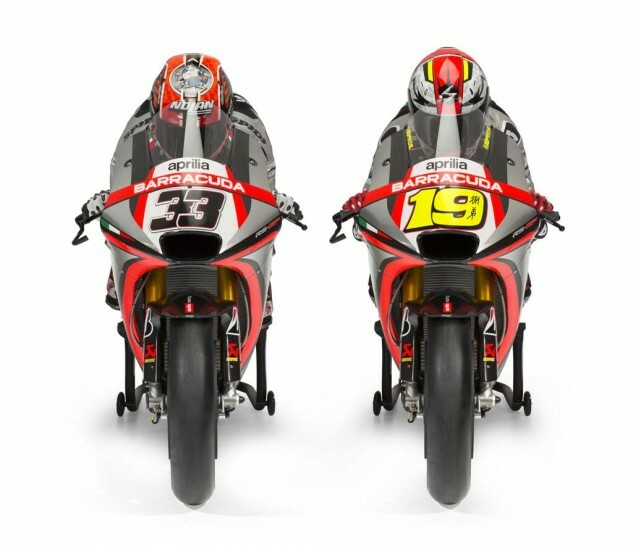 “We certainly could have avoided the pressure and waited until next year, but that’s not what Aprilia wanted. For Melandri, this season also marks his return to MotoGP racing after competing in World Superbikes the last four seasons including last season riding the Aprilia RSV4. 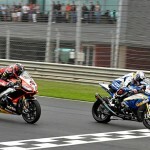 Melandri finished in the top four in each of his WSBK campaigns but he recognizes he will face different expectations this year.